I offer a wide variety of reprint sizes in different finishes. Canvas prints and framed prints are also available, please see below for examples. 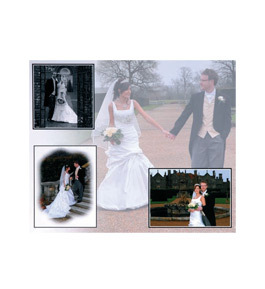 These photographs can be ordered by quoting the relevant numbers or ordered through the website via the client login. These can be paid for by cheque, PayPal or credit card. Choose four images, one for the main background and three drop-in images to complete the montage. Once designed you will receive a PDF of the print for your approval before printing. 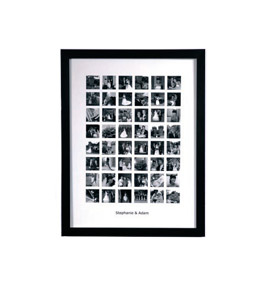 Forty eight images are chosen and printed in black and white and printed on a 16×12” sheet with the Bride and Grooms name’s printed at the bottom. 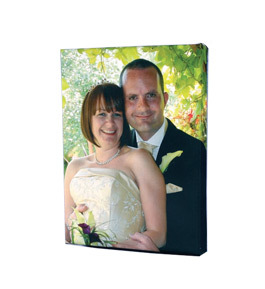 This is a lovely momento for the Bride and Groom of their Wedding and comes in a modern black bordered frame ready to hang. 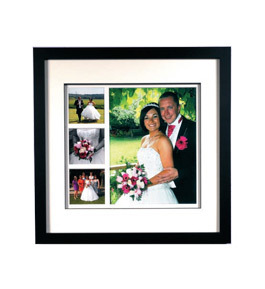 This 20×24” Contemporary frame comes ready to hang and has a black frame with an ivory coloured double mount giving depth to the photographs. Choose one 16×12” print and three 5×5” prints in black and white, colour, sepia or spot colour. 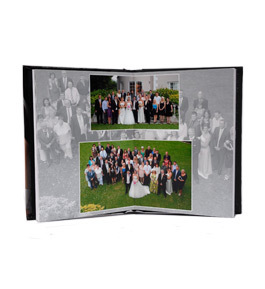 Parent Albums are available with “Our Daughters Wedding” “Our Sons Wedding” on the front. The albums come in a choice of colours and are supplied boxed.